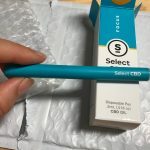 If you saw my article about the best disposable CBD vape pens you’ll know that the Spearmint Select CBD disposable vape pen is in my top three favorites. This is the only vape pen that made it into my list of favorites despite being a CBD isolate rather than a full spectrum CBD product. Because of that I thought it would be a good idea to do a full review of this vape pen. First of all what does “Full Spectrum” mean and why is it better than an isolate? “isolate” simply means the only cannabinoid in it is CBD, or cannabidiol. It doesn’t contain any THC or any of the other minor cannabinoids found in cannabis sativa. Unfortunately, that means we lost some of the medicinal benefits of the hemp plant because these compounds work together to better effect than the CBD alone. 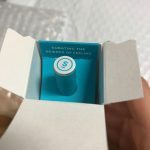 This vaporizer is different from other products based on a CBD isolate because it also included spearmint essential oil. Although we lose some of the medicinal hemp terpenes (such as pinene and limonene) by isolating the CBD, we gain d-Carvone by including spearmint essential oil. D-carvone is a plant terpene found in spearmint that, like CBD, is good for soothing anxiety, relieving indigestion, and as a sleep aid. It also gave the vapor a wonderful fresh mint flavor. Another thing that I really liked about this convenient pre filled vaporizer is the sleek packaging. 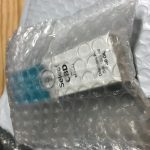 This CBD vape was simple to use, arrived in a discreet mailer, and was a great quality product. It did not require me to fill cartridges or do anything complicated to work it. I pulled it right out of the box and activated it by taking a puff on it. The unboxing experience felt luxe like opening a brand new iPhone. And the bright turquoise color just made me happy. I tried disposable CBD vape pens because they are convenient but can anyone tell me how to recycle them? 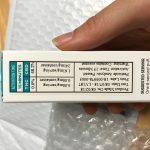 They may not be recyclable so I would suggest that they are an excellent way to “test drive” vaping CBD but are probably irresponsible to keep using long term. As I mentioned before, I don’t actually know about the health benefits of vaping essential oils. I cannot find any scientific studies or reputable sources that claim doing this is safe or beneficial. If you know of any please post them in the comments. The biggest complaint I have is that this pen uses a CBD isolate rather than a full spectrum hemp extract. Studies have shown that there are more benefits to the full profile of cannabinoids and terpenes in hemp when they work together than there are to CBD alone. I also think the CBD isolate is a less natural product since they have to use chemicals to extract it. But hey… nothing is perfect. 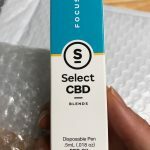 Stay tuned for additional reviews as I continue to test CBD vapes.